Fun Job for a longtime customer. One that reminds us of the great relationships we have built along with all of the landscapes! 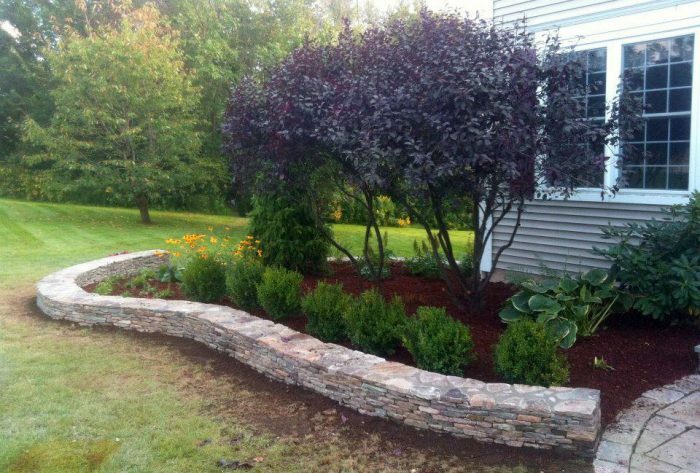 Fieldstone retaining wall and fieldstone and bluestone stoop. Boxwood, Salvia, Rudbekia, Astilbe and Serbian spruce will add interest all year. 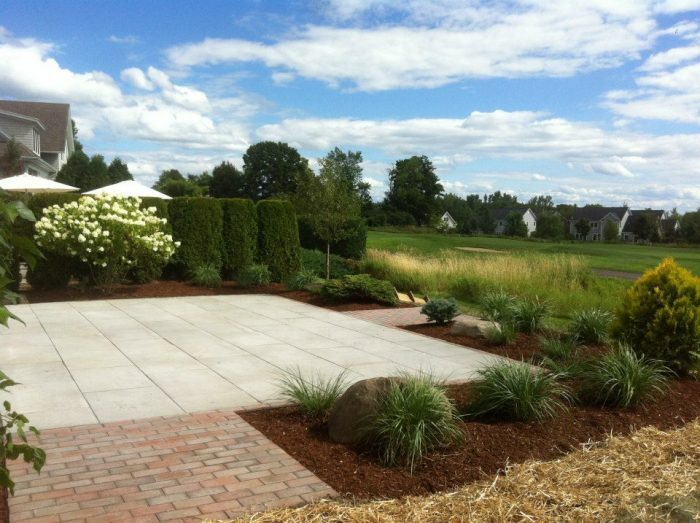 We used Thermal Bluestone with clay brick borders and walkways combined with perimeter planting and trees to cozy up this outdoor room!